We all consume content. Everyday. It might be through watching videos on YouTube while sitting on your couch, reading your timeline on Twitter during your daily commute, scrolling through your Facebook Feed during the lunch breaks in office or reading on your Kindle before you sleep. But what do you consume? Or rather, do you consume something of value? You and your thoughts are the sum average of the things you read…. of the things you consume. Because it showcases how you use your time. How you value it. And it couldn’t have been more true. 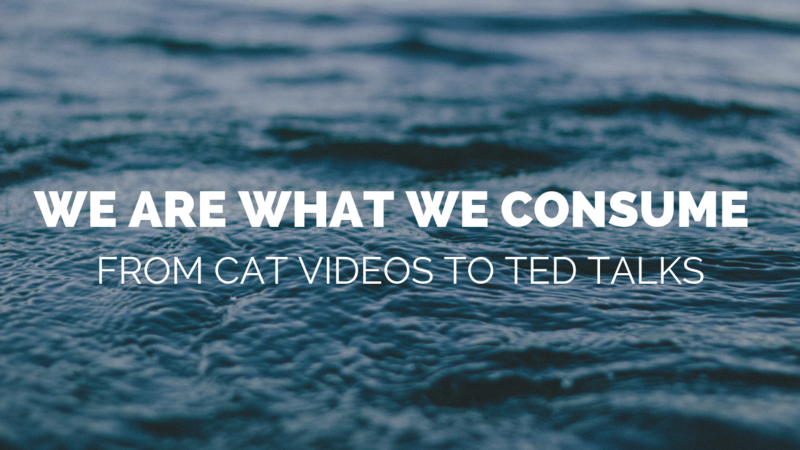 Do you spend multiple hours a day sifting through cat videos for a good laugh? Do you read about the latest gossip in Tinseltown and who has married whom or which celebrity got a new tattoo on what part of his body? Do you scroll through all the twerking videos on Instagram and imagine yourself to be the next Musically superstar?